Wired vs Wireless intruder alarms, which one? During the last few years in the world of technology, there has been a significant spike in the market of wireless technology, and we jumped on board.We decided to take a look into the world of wired vs wireless intruder alarms and their capabilities. With the new wireless alarm systems, specifically speaking about the Agility 3, the possibilities are endless to what you can add on to alter or enhance your safety and ease of use. 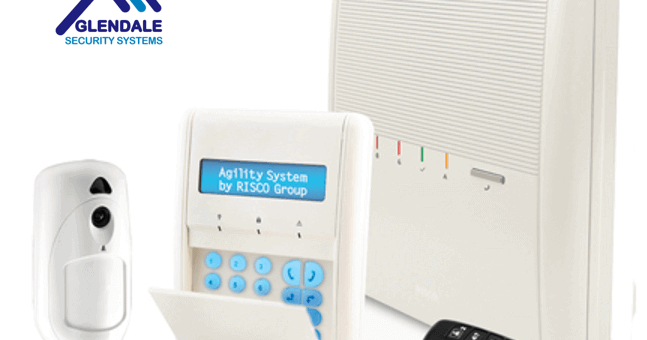 The Agility 3 intruder alarm system supports various add on extras many wired alarm systems can’t support. On the other hand, Gardtec 600 panels are very reliable and are often a preferred choice for some homes. Wired v wireless will always be down to the customer preference for the home or business. One of the main appraisals of wireless intruder alarm systems, is the installation itself. Due to not needing any wires run, it gives more flexibility with where everything is positioned. The cables do not have to be hidden, meaning you can have this fitted after you have decorated your home/business premises. The agility system comes with a vast range of sensors you can have added on, such as a camera, home automation, and assistance in setting and unsetting the alarm at your ease. More choice, means more protection, giving you the ultimate cover, you need holding up to 32 sensors alone before needing an expander fitted. The market for Wireless intruder alarm systems was damaged before due to the concerns over reliability of the sensors. This has been over 10 years, and new developments have paved the way to a very hopeful future for these systems. Due to the sensors transmitting a 2-way frequency, less false alarms are appearing due to frequency jamming – now a thing of the past. If there is an attempt to jam the system, you will be alerted of this, so you can take the necessary actions to protect yourself and your home. The agility integrates the VuPoint cameras onto the system. Thus, enabling you to view the camera from your mobile smart device on the app. This gives you the chance to watch your pets or check when the alarm goes off to spot any unusual activity. Although these are wired for power, they connect to the alarm system through your broadband, and can be used as indoor or outdoor cameras. They do come in different styles, such as a dome style camera or a bullet style. These cameras are not compatible on a wired alarm system. The Agility system will also support the usage of a PIR Camera, which will be positioned in points of entry. These cameras will take a snapshot of an activity happening in the area. This will be set off by movement caught, and the images will be sent to your smart device app that you can view and check for any unusual activity. This may help you to identify, or assist to identify, an intruder. This sensor is not currently compatible with a wired alarm system. Flood detectors – if you have the concern your home or business may flood, We can fit a small detector which will notify you of this. Meaning you can take the necessary action quicker than it being sprung upon you. Smoke and Heat detectors – We can fit these to the main areas of your home, integrated to the alarm, meaning when the detector goes off and you are not home, you will be notified within minutes, giving you the time, you need to take action. CO Detectors – Carbon Monoxide is the silent killer of households and businesses, we put our customers safety first by installing one of these next to your boiler or other areas of concern, to make sure you know when this goes off. 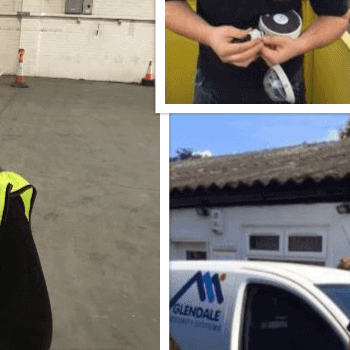 Agility 3 systems have been praised for their ease of use by our customers here at Glendale, and the Agility really does make things simple. Complicated alarm system can put people off from using them altogether, whereas the agility can come with a range of setting and unsetting assistance such as the proximity tags you swipe over the alarm, or the button fobs you can use from inside you home or business, or in the driveway. The Agility panel will also speak through any faults it has with you, so it will tell you if it has a low battery or needing a service. Although Wireless Systems are priced at a much more expensive price than traditional wired – The installation itself being much cleaner, and the time taken is a high contender in which type you should get. And if you move to a new house or business? The Agility is quick and easy to port to your new premises, and easy to add sensors on to if it is bigger. The agility system is not the only system we would recommend to you, but the Gardtec 600 Wired alarm is just as good but with a little fewer features on it. The Gardtec 600 May be a fully wired alarm but can come with a few little tweaks and boosts that can bring it close to the Agility 3 in the standings. The Gardtec 600 is a wired intruder alarm system, which straight of the bat means that only the main panel battery needs changed – not every sensor, every 3 years. Making it a cheaper system to install and maintain. The sensors being wired means that all the cables during installation will be hidden and/or neatly pinned to skirting boards/door frames etc. However, depending on the house/business building we are installing into, sometimes the cables can be put under the flooring, hidden in the loft space, and dropped down walls, or will be run into trunking. This means you can have the alarm installed, then you can decorate over the cables to prevent them from being an issue during install. Here at Glendale, we highly recommend that the Gardtec 600 system are monitored (optionally policed) to an alarm receiving centre. These panels are not capable of being connected to your smart device, and we would like you to know when the alarm goes off, so you can take the necessary action required. The Gardtec 600 may be a wired alarm, but there is the option to add a wireless expander onto this. Although the sensor options are limited, you can add these sensors into a section of the house/business you are having added on. This may be an extra cost to the customer, but you can add accessories such as the 4-button fob onto this for your ease of setting and unsetting, or the swipe-able proximity tags. The range of hard wired detectors you can get is still a vast amount, such as the Smoke/Heat detectors. The sensors can be hard wired into the alarm system to alert the you of a fire activation. When installing these, we highly recommend monitoring as currently you cannot be notified by an app. The Gardtec 600 system has provided less false alarms as the system developed over the years (i.e. from the Gardtec 370) and will usually only give off false activations if there is a genuine fault in the system. This may be through Mains failure at the property, or perhaps a damaged cable, no matter what the case, the alarm will inform you of this, and you can call us out anytime to fix it for you. The choice between the two systems will usually be dependent on what type of Home or Business premises you are in. Our expert engineers can help you to decide and will only recommend the best system to suit your needs. Our engineers will weigh up the possibility of wired vs wireless every time the enter a quote to ensure you are getting the ultimate safety. Looking to find out more on the systems or want to chat to an adviser?